The peer who claimed the largest total amount was Liberal Democrat, Lord Bruce of Bennachie. He claimed £64,622 over the 12 months to July 2018, for 152 days work. Lord Bruce was formerly an MP for Gordon for more than 25 years before he entered the House of Lords as a life peer. According to his register of interests, he also receives payments for acting as consultant to a number of international development organisations. This work includes acting as consultant to the Parliament of Myanmar, funded by the Westminster Foundation for Democracy. Liberal Democrat peers in Scotland make up six of the top 10 list of most expensive peers, who are all male. The remaining places include two Labour peers, one Conservative peer and one independent crossbencher. Former First Minister of Scotland, Lord McConnell of Glenscorrodale, is the most expensive Labour peer. He claimed the second largest overall amount from taxpayers. He pocketed £63,842 for 144 days work on House of Lords business, including more than £16,000 on air travel. According to his register of interests, he has also been paid to act as chair of the Sustainable Development Fund panel of Scottish and Southern Energy plc. He also has a paid role as as an advisor to the accounting firm, PriceWaterhouseCooper. Members of the Lords who are not paid a salary are able to claim a tax free attendance allowance. They can choose to claim a lower rate of £153 or a higher rate of £305. Prior to March 31 2018 the lower rate was £150 and the higher rate was £300. Peers can also choose not to claim the attendance allowance at all, even if they attend the house. They are able to claim an allowance for attending meetings or visits outside the House of Lords at the lower daily rate. Business class air travel is covered by the House of Lords expenses scheme, but first class rail travel is not. Another way of analysing the cost of peers is per day worked. By using this measure the crossbencher Earl of Stair, John Dalrymple, remains the most expensive peer living in Scotland, despite cutting his daily costs by 11 per cent compared with two years ago. Including travel costs, he claimed £17,523 for 26 days work over 12 months. According to the website Public Whip, the Earl has participated in seven per cent of votes in the current session. The hereditary peer owns an estate in Dumfries and Galloway and the Stranraer and Wigtownshire Free Press, a weekly local newspaper. He is a second cousin of Prince Charles. He declined to comment. The difference between the daily rate claimed by some peers compared with others is often the amount claimed for travel costs. Collectively the amount claimed for air travel by peers living in Scotland has risen by 23 per cent in two years. Colin Howden, director of sustainable transport campaign group Transform Scotland, argued that peers could cut costs and their environmental impact by switching from air to rail travel. “In a year when the threats posed by climate change became ever more stark, it is shameful that Scotland’s peers have decided to massively increase their use of the most polluting form of transport for travel to London,” he said. Alexandra Runswick, director of Unlock Democracy, said the ever increasing bill for peers could not be fixed by a “piecemeal” approach to managing costs. Rather than simply putting stricter controls on costs, she argued the whole chamber should be radically reformed. “The scandal of silent peers claiming vast expenses will no doubt irk the public at a time when the government is tightening its belt in many other areas of public finance. But reforming the House of Lords expenses system would be adding a lick of paint to a building that needs to be demolished,” she said. The House of Lords was “full to the brim” with party donors, cronies of the party leader and heredity peers who have seats reserved “by birthright,” Runswick said. “In a democracy it should be the people that decide, through free and fair elections, who makes our laws,” she added. These new figures show that it's time that this archaic institution was shut down for good. The SNP MSP, George Adam, backed calls to abolish the House of Lords and pointed out that it is dominated by older men. “It is utterly ridiculous that unelected and unaccountable peers think it’s acceptable to spend taxpayers’ money on expensive travel in return for little to no work,” he said. The Liberal Democrats and Labour were asked to comment on the criticisms of payments to their named peers. In response both parties stressed their support for reforming the House of Lords. A LibDem spokesperson said: “Scottish Liberal Democrat peers make substantial contributions to public life, voting and speaking regularly. Who are the Scottish peers? As in our previous analysis two years ago, we limited our definition of peers living in Scotland to those peers that gave a Scottish address in their expense claims – or those we could otherwise identify as living in Scotland, from verifiable public sources. Where it was not possible to identify a Scottish location with a peer, or where the peer gave an address outwith Scotland, they were excluded. This means it is possible that there are more peers living in Scotland, and that costs could be higher than those identified in this analysis. Peers that were wholly inactive over the 12 month period were also excluded from the analysis. This year we found that there were 54 identifiable Scottish peers. Two years ago, we found there were 64. 18 peers living in Scotland are affiliated to Labour. 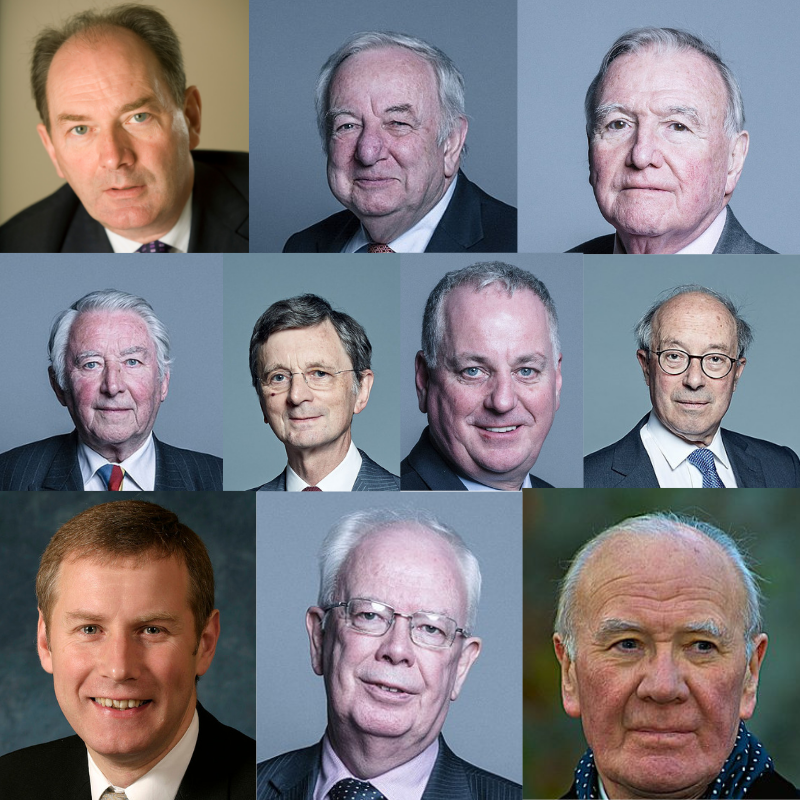 The Scottish Labour Party website suggests that it has 24 members in the House of Lords, but we found that some Scottish Labour peers gave no address or provided an address outwith Scotland, so these peers were excluded from this analysis. There are 15 Conservative peers, 10 Liberal Democrat peers, 10 crossbench peers with no political party affiliation and one peer living in Scotland, Lord Pearson of Rannoch, who is a former leader of UKIP. Lord Pearson is a supporter of the Leave Means Leave Brexit campaign. He was the subject of some criticism from his fellow peers for inviting far-right activist Stephen Yaxley-Lennon (aka Tommy Robinson) to parliament in March 2018. The peers living in Scotland can also be split by type. There are 43 life peers. They are appointed, following a recommendation from the Prime Minster of the day. They must also be vetted by the House of Lords Appointments Commission. Once appointed they are entitled to attend the House of Lords until they die. There are 11 hereditary peers resident in Scotland. The overall number of hereditary peers in the House of Lords is limited to 92. When one dies or retires, new hereditary peers are elected using the Alternative Vote system, a form of proportional representation. However, only those on the Register of Hereditary Peers are eligible to stand for election, and only sitting hereditary peers may participate in the vote. 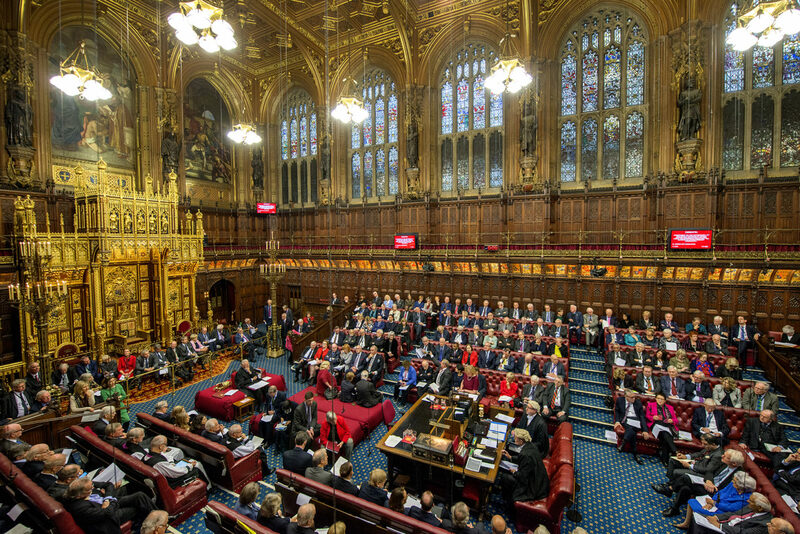 Once elected, hereditary peers are able to attend the House of Lords until they die. Cover photo credit: House of Lords | CC | https://flic.kr/p/2djdEuW. Other photos are public domain. This article was published in tandem with the Sunday National. This story was updated on the day of publication to correct the name of the paper owned by the Earl of Stair. An elected second chamber is not the answer, as the same expenses system will exist. I don’t know what these people do when they are there, but to me it looks like an old boys network. It’s outdated and needs to be abolished, but they’ve been saying that for years.